(p. D7) . . . , when did “chemical” become a dirty word? That’s a question raised by one of Canada’s brightest scientific minds: Joe Schwarcz, director of the Office for Science and Society at McGill University in Montreal. Dr. Schwarcz, who has received high honors from Canadian and American scientific societies, is the author of several best-selling books that attempt to set the record straight on a host of issues that commonly concern health-conscious people. JANE E. BRODY. “PERSONAL HEALTH; What You Think You Know (but Don’t) About Wise Eating.” The New York Times (Tues., January 1, 2013): D7. Schwarcz, Joe. 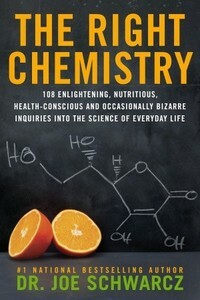 The Right Chemistry: 108 Enlightening, Nutritious, Health-Conscious and Occasionally Bizarre Inquiries into the Science of Daily Life. Toronto, Ontario: Doubleday Canada, 2012. 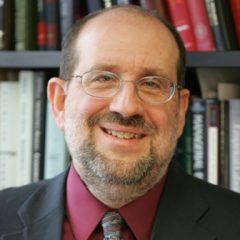 Schwarcz, Joe. Science, Sense & Nonsense. Toronto, Ontario: Doubleday Canada, 2009.